My wife finally made me gather my CRPGs in a closet in the basement..
Wow! 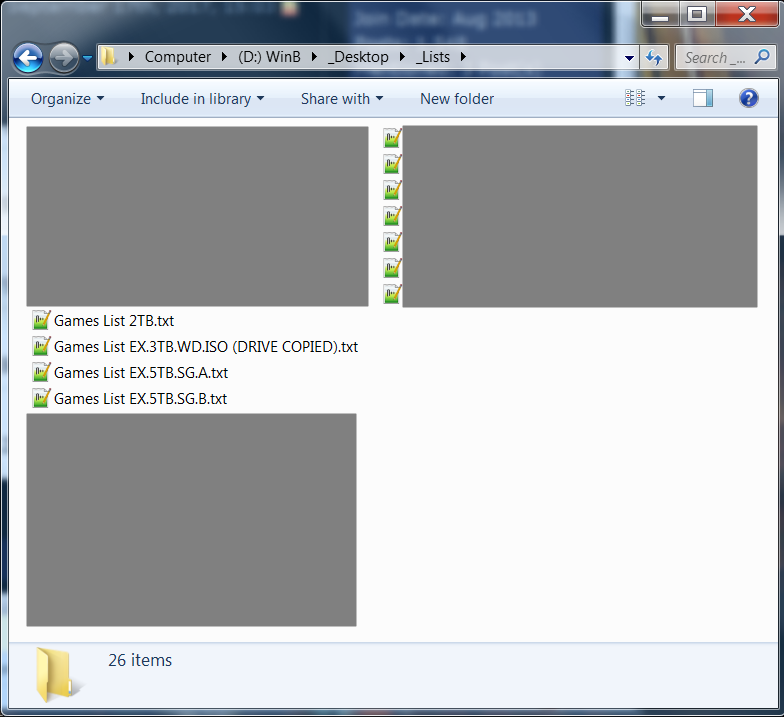 Now that is a lot of games. I am a bit of a minimalist … possibly because I have moved 12 times growing up in my family all in the same town (my dad brought houses to fix up and we often lived in them during the process). Then lots of moving with college and after that I moved almost once a year. Finally settled down. Anyhow learned to hate clutter and stuff I would have to pack/unpack. So the only old game I have still is the collectors edition for Baldurs Gate 1 and 2 plus expansions. Have the complete set. Current games I have 7 (8 if you count an expansion), 3 of which I never even finished which is why they are still around and the other 4 are favorites. I have a similar picture of my gaming closet as well. Also hilarious that you have a BOX for Megatravellers 2…. from 1991!!! I didn't know there was even a game based on Traveler! Yeah, early 90's. You didn't miss much though, they weren't very good. Now that's a nice collection! Much admiration. Oh boy its confession time. I have 4 full size plastic containers with lids but if you add up the boxes under my desk and wife's desk and her games above her desk well, we probably have closer to 5 full containers going back to 1994. I am getting that sinking feeling that I am getting close to an ebay sale. I don"t hoard anything else, even all my hundreds of vinyl records have been gone for years. If you add my Steam and GOG you would think I have done nothing else all those years but most of them I never finished. The good ones I will finish though. If I can ever find time. I stopped hoarding CDs since I don't have time to listen to music anyway, so that one ended some time around 2005. I intend to reduce my 500+ DVDs and BluRays sooner than later, but I can't get myself to sell my CRPGs or my 200+ Playstation 1-3 games. As I said, I MAY have a little condition. Ignore the philistines Sir_Brennus, there is no greater achievement in life than owning a collection. Those lucky enough to be born with colleteritis are those blessed with the greatest gift of all. Remember, its the philistines who are to blame for burning all those Dr. Who episodes Never would have happened under a collector-bug's watch. I notice from the picture a few of the early games that I have. It's strange how your attitude to new things changes over time. I remember when the "download" era started I was committed to keeping my physical copies of games (and their manuals). But I notice that I joined GOG in 2009 (140+ games), Steam in 2008 (40+ games) and Origin (half a dozen). My physical games, 200+ from the early 1990s to 2012 now reside in boxes in the garage. I still have Civ IV, KoToR and The Orange Box in my "study" but I also have digital copies of all of them. Why did I move them? My paper book collection was getting large despite my Amazon Kindle (now on my second device - 191 books and comics). My DVD collection is also expanding, currently at just under 3000 episodes. It was getting a little "cramp" and building an extension seemed an expensive solution. I do try to dispose of books/DVDs (but not games) that I will not use again to our local charity shop but I reckon I am a collector who every now and then has a brain storm which results in the charity shop being happy to see me. I did not take good care of my boxes, so there's not much worth keeping. Also, a lot of my "boxed" games came from the used section of EB and Gamestop, and they just put everything in plastic bags, minus boxes, at the time. You can still get boxed games in good condition at Half Price Books, though not as cheap now since they started looking up the dollar values online. I don't have a lot of games on Steam or GOG either, because I tend to finish the games I buy before getting new ones. & @posfan12, yeah, I'm the same, I don't tend to buy a game unless I'm looking to play it, so my digital collection isn't huge, though having said that I'll often buy a whole set if I'm thinking of buying the first one in a series, so I do have some excess, it's just lots of sequels cos some of those older titles now get sold in in huge wads of the entire series for less than a tenner.